For as long as I can remember I have been nosing around the outdoors, fascinated by wildlife and enjoying learning about the other living creatures around me – who they are and how they live their lives. When I was in school I didn’t imagine this could lead me to a career, and I thought I was destined to work in a laboratory. I did my BSc in biological sciences, splitting my time between modules in ecology, animal behaviour and parasitology, and it was at this point I started to dream that the future really could offer the prospect of a life outside a lab for me. As soon as I finished university I started volunteering and was lucky to find a fantastic mentor in the form of the local Wildlife Trust’s Conservation Officer, who introduced me to the world of conservation NGOs in all their diversity. I helped with surveys, habitat management, education and events, and realised I was peering into a much broader industry than I had ever imagined. The door opened up for me, when I secured an apprenticeship for an environmental NGO in Devon, and since then I have been lucky to have held several diverse roles, including two years in ecological consultancy. These have moved me to different areas of the country, and given me a wide range of experience to draw upon; from conservation policy and strategy, to practical survey, and advocacy. I try to approach my life in a flexible way, enabling me to be reactive to the opportunities that have come up. This, coupled with hard work and determination has led me to the point I am at today, where I am lucky to have a career that includes working with many different people, training (and hopefully inspiring) others, travel, and occasionally research. I have a lot of variety within my role, but at the crux of it is the aim to educate and enthuse about pollinators; raising awareness about what they need, and encouraging people to take an active role in pollinator conservation. I work with a real mix of people; farmers and landowners, conservation professionals, community groups, academics, and industry. 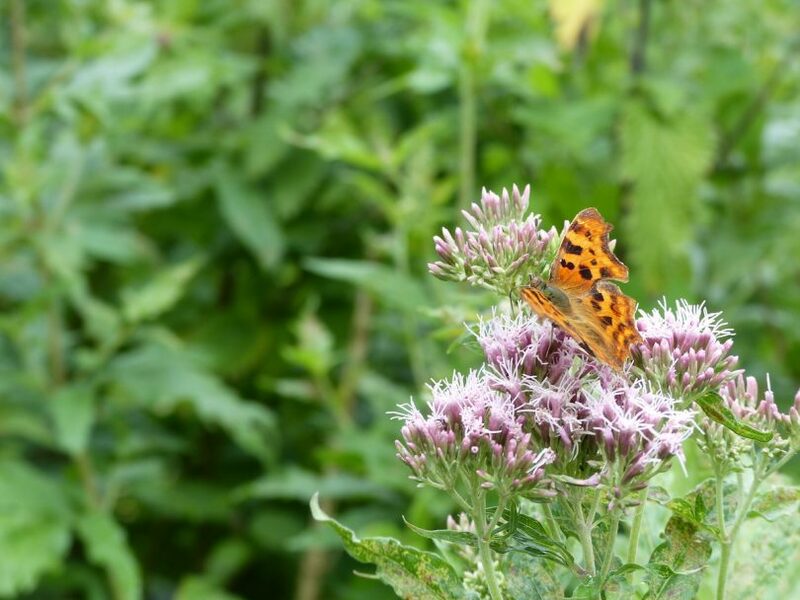 My work includes giving advice and support to farmers about how they can provide and manage habitat across their land that will support diverse wild pollinator communities. This involves assessing the current habitats and how they are functioning for pollinators, highlighting any gaps, and working with a farmer to identify the best way to increase the value of their land for pollinators. 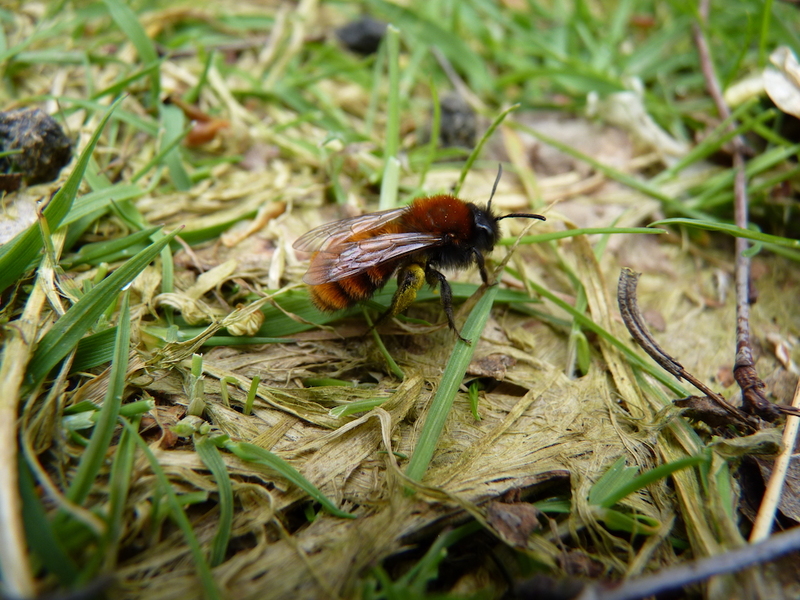 Training is a big part of raising awareness, and I provide training on pollinator ecology, survey and monitoring to a range of audiences, including conservation practitioners, individuals and farmers, to increase knowledge and confidence in those wanting to make positive contributions to pollinator conservation. As I am working with many people who make their living from managing the land, it is very important for me to draw on academic research and highlight the benefits to productivity from having healthy pollinator communities. Collaboration with other organisations is important and something that is key in the environmental sector more widely; to pool resources and experience, and use the strengths of each organisation involved to achieve better results. Are there any must-have qualifications and/or experience? Of course a degree is useful, but don’t get hung up on qualifications – I very quickly realised how much I still had to learn when I graduated from university and started working in conservation. When working for a small organisation, it is important to be adaptable, self-motivated, well-organised and able to prioritise your work. 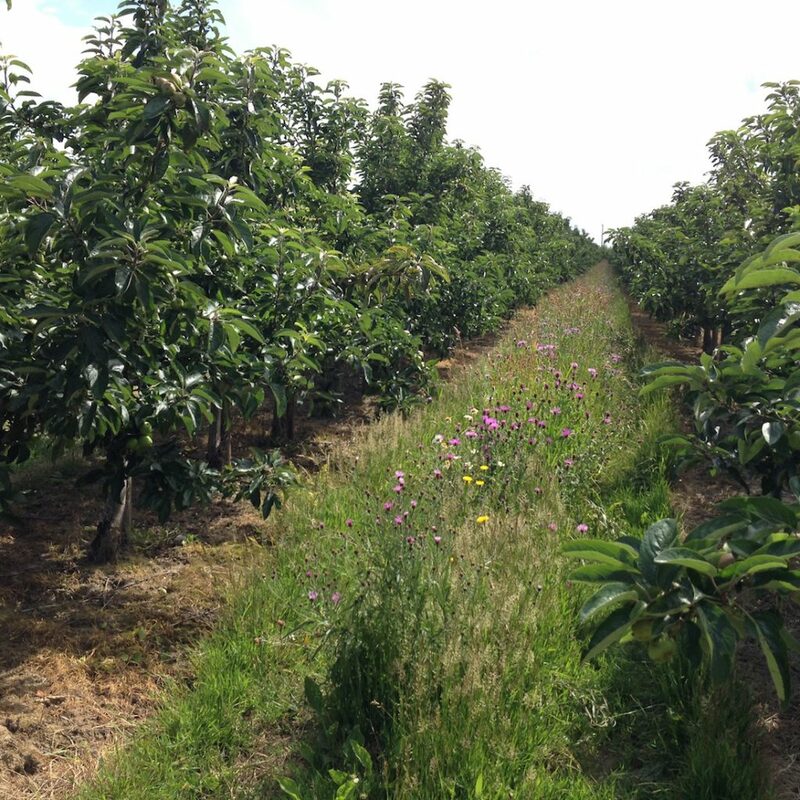 Experience of working with land managers and understanding agri-environment schemes is important for my role, as is the understanding of what has driven the dramatic decline in pollinators, and how we can start to reverse this. Communication skills are incredibly important. This is not just the ability to get your point across; you also need to be able to listen. We are at the point in our environment where, more than ever, we have to pull together and this can only be done through respect and communication. Working with others doesn’t mean you have to always agree or get on, but you should have the ability to listen, consider and find effective solutions to move forwards. It is important to tailor what you are saying to your audience and make it relevant to your listener. The aim for me is about moving people from passive interest in conservation towards something more motivated and active. To be an effective advocate, you need to be prepared to put in the time and effort to learn your subject area. Your own passion is what will really bring others along with you. Working for a small organisation can be great as we can be reactive in a way that larger organisations, or those outside of the charitable sector, can’t always be. I enjoy my job for the variety of people that I get to work with and the things I get involved in, which keeps it interesting and challenging. It is fantastic to be able to visit a farmer who may have lived on the same farm their whole life and still show them something new about their land, and work to inspire them to want to conserve the species they are sharing that space with. My role, focused on wild pollinators, has also been a great learning opportunity for me and allowed me to branch out more into entomology; something I am really enjoying. The job also gives me the opportunity to encourage action in others, which is very important to me. Working for a small organisation can also be challenging, as there can be less capacity, and work can be strongly tied into particular projects and grants that may prevent or delay some areas of work. With so much to do, there can be a real temptation to spread yourself too thinly, and as mentioned above, the ability to prioritise and manage your workload can save you a lot of stress down the line. Within the bigger picture – the environment is still unfortunately (and counter-intuitively) bottom of many priority lists. This can be frustrating, but frustration can turn into determination! 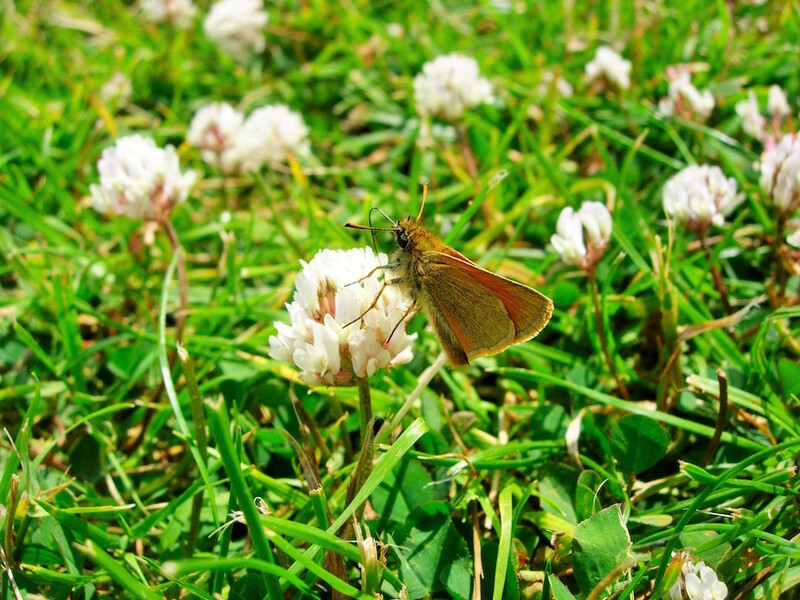 It can also be difficult to find ways to finance the habitat management changes that are needed, as this is often at the mercy of national policy, but this does also provide an opportunity for some creative thinking. In applied conservation roles it is also important to keep up to date with research and policy, which can be very time-consuming, but it is rewarding too. Keep an open mind and don’t assume you have all of the answers. Make opportunities, and take opportunities that present themselves. The energy and commitment you put into gaining additional experience can really help as your career progresses. In doing this; remember to be courteous to those who help you out along the way! Turn the negatives into positives – without the short contracts that marked out the start of my career, I would not have gained such a broad range of experience that has set me up for my work going forwards. There will always be ruts to fall into – if something doesn’t work out; dust yourself off, carry on, adapt, enjoy the journey. Be enthusiastic, be creative. Think about the people that have inspired you and how you can emulate this, but never forget you are your own guru. If you want something enough – go for it. 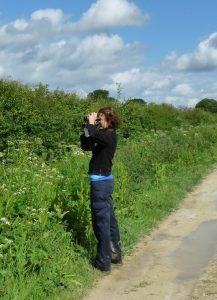 About the Author: Laurie Jackson is an ecologist working for Buglife, the Invertebrate Conservation Trust, on pollinator conservation. Her career has been varied, encompassing conservation policy, ecological survey, advisory work, and environmental education. She enjoys diversity in her work, and in addition to her Buglife role; she leads wildlife holidays abroad; feeding her passion for exploring, teaches courses, and is a guide at a rewildling project. Laurie loves being outdoors. In her spare time she is a bird ringer, and she is always keen to get involved in research; so far, this has included work on butterflies in Romania and birds in South Africa. With butterfly net, binoculars, notebook, camera and hand lens being important components of a good day in the field; Laurie is not always convinced she has enough hands!